If we put facts on the paper, fully-featured gaming monitors can be pretty expensive! The arrangement is practically spot on if you want to buy one with a large viewable area, premium construction, superior color clarity, and advanced connectivity. However, considering the trends and popular demands, Acer outlined a beast of a monitor at a significantly affordable price range. Acer designed this H277HU Kmipuz monitor in the light of sharp visuals and progressive styling. It is undoubtedly a prominent player in the mid-tier monitor market with its lustrous edifice and high-end specifications. So, let’s brace ourselves and explore the aspects of this high-config reasonably-priced monitor. To put it candidly, the slim and sleek look of this monitor is plainly dope! Very few monitor can compare to this angel of a monitor when it comes to appearance. Acer combined some of the finest quality aluminum and plastic to facilitate the construction of this extremely beautiful monitor. 27-inch wide viewing area, super-thin (almost frameless) bezels, and champagne gold tint with white back over and above the round-shaped stand gave this monitor an exceptionally contemporary look. Regardless of gamers, content creators, or regular multimedia buffs, everyone can get something out of this amazing piece of gadget. The 27-inch LED display with 2560 x 1440 WQHD resolution can provide excellent details for HD productivity and multimedia applications. Furthermore, the elegant Zero Frame Design of Acer allows the users to consolidate multiple monitors for a more extensive visual experience. 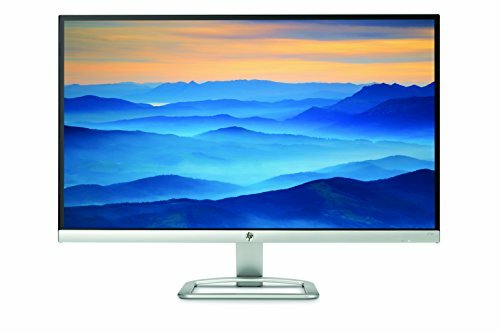 The beautiful IPS panel with its 178-degree all-around viewing angle added more flares to the color reproduction of this monitor. The WQHD resolution with a 100,000,000 : 1 contrast ratio will allow you to get detailed imagery from the display elements. The nippy 4ms Response Time can condense deviations in transition in order to deliver high-quality moving images. Acer H277HU KMIPUZ is very rich in the department of all-important connectivity. It comes with a variety of alternatives, including an HDMI port, a Display Port, two USB 3.0 Ports, and a future-proof USB 3.1 or Reversible Type-C connector. You would find the function buttons on the lower right side of the monitor. Grippingly, this monitor is outfitted with two 3W speakers. Even though they might not produce a lot of basses, they really can get louder! 60 Hz of Refresh Rate is a bit disappointing at $500 price point. Moreover, even though it comes with a (-5° to 15°) tiltable stand, regrettably, it does not support swivel or height adjustments.